For 30 years, Seagull has dazzled with its fine tune craftsmanship in quality handmade strings, ranging from guitars, mandolins, ukuleles, and M4 both the public and professionals alike. A Canadian homespun company that takes its roots in a small village in eastern Quebec, it is guaranteed to have the cozy warmth and melodic overtones of the picturesque aesthetic. Let’s proceed to our Seagull S6 Original review to find out the facts. The Seagull S6 Original Acoustic Guitar is a glowing testament to the fact. Coming in two original and two limited edition colors, Seagull delivers on its promise of reliable quality, excellent sound, easy playability and overall glowing architecture of a great acoustic instrument. The first thing to mention in this Seagull S6 Original review is that, it is a beautiful instrument. It comes in four colors – natural, black, flat black and Tennessee Red -it is of a minimalistic, clean design, a personal favorite as well a concept very on trend nowadays. Made in full dreadnought size, its full body allows us for maximum volume, and a bolder, rich tone when strumming. Made of rich mahogany, wild cherry and cedar wood for its body, back and sides, the materials chosen for this stunner of an instrument enhances its bright, vibrant tones and incredible sound quality. The natural rosewood bridge is crowned with a synthetic bone handle, embellished by chrome hardware and pressure tested cedar top with X bracing – a standard among most beginners guitars. The silver maple leaf neck is a double truss rod built for neck adjustments and keeps your tuning smooth, fresh and secure. It has the standard smooth 20 finger fretboard, dotted by dot inlays. The S6 is compensated Tusq nut and saddle that increases its playability tenfold thus decreasing the need to worry about the guitar’s action or string’s thickness. This is a trait found in only higher-end models and brands, so it is refreshing to see one in this affordable brand’s catalog. The S6 is finished off with semi-gloss lacquer from top to end that keeps it looking that shiny and fresh. For the limited editions in flat black and Tennessee Red, the Red is rich, warm and sophisticated to look at. Its rich wild cherry back compels a gorgeous overtone, and the silver maple neck holds the strings to offer a sound that is pristine in its clarity. The aligned machine heads on this model makes tuning a breeze. These same features hold true for the flat black model, an understated companion compared to the Tennessee Red’s rich sophisticated bold warmth. The natural is the traditionalist choice, boasting the aesthetic of a well-made acoustic fit for any scene – it spells out one-word: solid quality. The black is as well a safe option for the discerning player who is not too keen to take risks with his investment. Nevertheless, the S6s in any model has the magnificent pristine beauty compels any well-seasoned guitar lover’s appreciation, for both the melodic resonant sounds it strums and the physical clean, precise build and grace of the instrument. If you’re going to play, you best have a partner that sounds this good and looks this great! Let’s move on to the sound quality of the guitar. It is an award winner by beginners standards, even hailed to be perfect for more advanced plays by a few. The Seagull S6 Original Acoustic Guitar offers a clear rich and warm tone that is radiant in expression – perfect for those nights you want to spend strumming along with your mates or if you’re looking for some quiet contemplation music as you hone your bard-like craft. The rings are clearer, louder and more distinct than a beginner’s guitar which may not suit all tastes. The action is comparable to the higher end and more extortionate Taylor guitars – a noble feat. Fretting is easy and relaxed, requiring no substantial effort, perfect for guitarists of all levels. The overall sounds that come from the S6 are distinctive, as it is not usually found in beginner models. However, the tone isn’t bass heavy so be prepared for it to fall short if you’re playing more of a jazzy tune. The sound quality is on par with Seagull’s regular line up; I would go far as to say it compares to the Taylor Grand Symphony series in richness, tone, and volume. It offers an excellent robust sound projection for the materials, accompanied by the X bracing, making the total sound clean, bright and melodic to the ear, even if slightly tangy. For playability, it is a marvel – breezy, easy and is aimed at beginners, it will stoically help you develop those strong, calloused muscles and nimble virtuoso fingers that are guaranteed to leave your crushes, enemies, and even your fickle haughty cat swooning at your crooner’s touch. The high-performance saddle and Tusq nut help improve its playability and tone. The thicker neck and smaller head also make tuning easy and accessible. The wood base is of exemplary quality and the selected pressure top more is well worth the price! It’s a shame it doesn’t come with a case, I would recommend getting one for any guitar. Cause perfect case is one of the important parts of guitar maintenance. However, the quality of materials and building more than compensates for the lack of a gig bag. 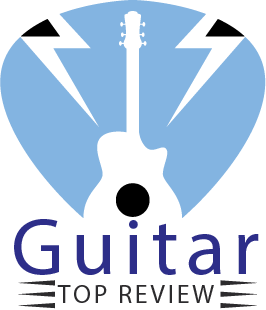 To sum up the Seagull S6 Original review, we have to say that capping off at 400 dollars for this dreamboat, this marvelous guitar is a bargain for the discerning buyer. Seagull’s flagship is a perfect example of good, sturdy craftsmanship, quality materials, and excellent sound, clearly geared to the learning market with its sound quality, tone, and price. Most beginners guitars are priced at around 400 dollars, the very best ones soaring up to 600 to 700 depending on brand. 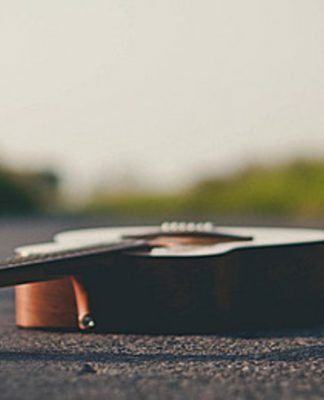 With the S6, you’re getting the best acoustic guitar in quality, structure, and sound that should be worth way more than its 400 dollars – boasting phenomenal audio, long-standing tuning, and comfortable feel like a testament to the experience.